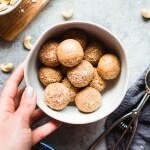 These No Bake Cinnamon Roll Energy bites are made with only 7 ingredients and are naturally sweetened with dates! 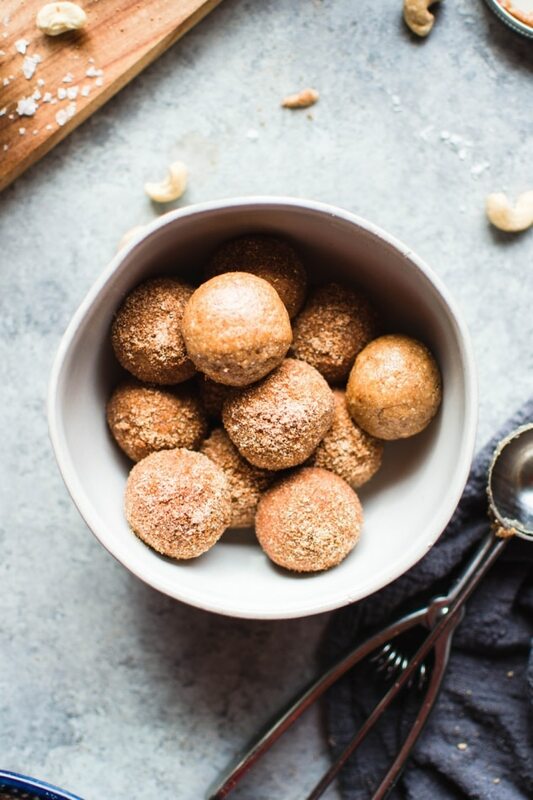 A healthy yet indulgent treat, they are soft and chewy, full of healthy fats and protein, and totally reminiscent of the ultimate breakfast pastry – the cinnamon roll! Without any of the refined sugar/wheat/dairy  It’s a real win/win. Guys! Hello and happy weekend! Are you ready to talk no bake cinnamon roll energy bites?! For some reason, I felt a little strange sharing this recipe this time of year. Something about “cinnamon roll” sort of makes me think fall. But then I started thinking about it and I was like nooope, I’m pretty sure cinnamon roll ANYTHING is always going to be delicious and is totally appropriate year round. Ya with me? So then I asked my friends over on Instagram just to make sure I wasn’t the only one who felt this way, along with some of my trusted taste testers, and everyone seems to be pretty much the same page on the whole love of all things cinnamon roll AND energy bites AND anything yummy that’s also NO BAKE (that makes them fit into the whole warm weather thing, right?) so HERE WE ARE! Getting ready to bite into the gloriousness of these crave worthy energy bites. Hope you guys love ’em just as much as I do! I miss cinnamon rolls. There! I said it. That’s really where the inspiration for this recipe came from. They are just kind of the best. And while I know there’s probably some pretty darn good gluten free cinnamon roll creations out there, I wanted to make something that was more of every day treat/snack. So cinnamon roll vibes could be a part of EVERY DAY. Well maybe not every day, but you get the point. 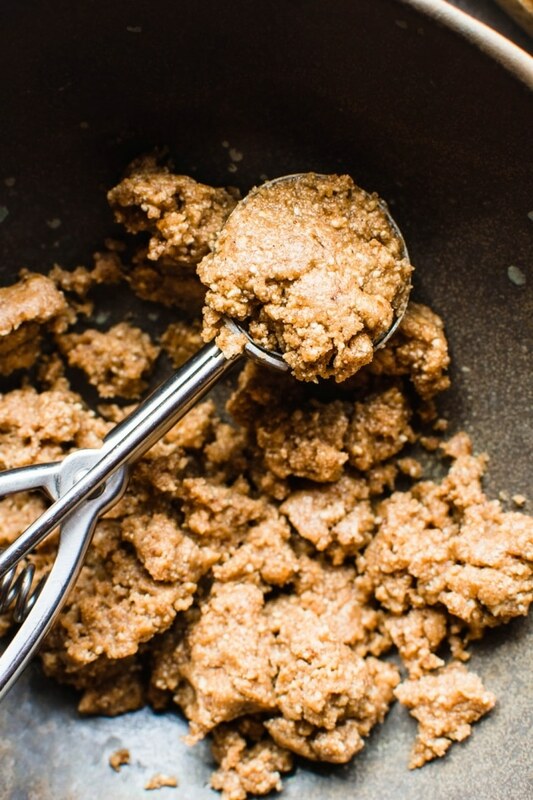 What are these no bake cinnamon roll energy bites made of? Only wholesome, whole food ingredients. 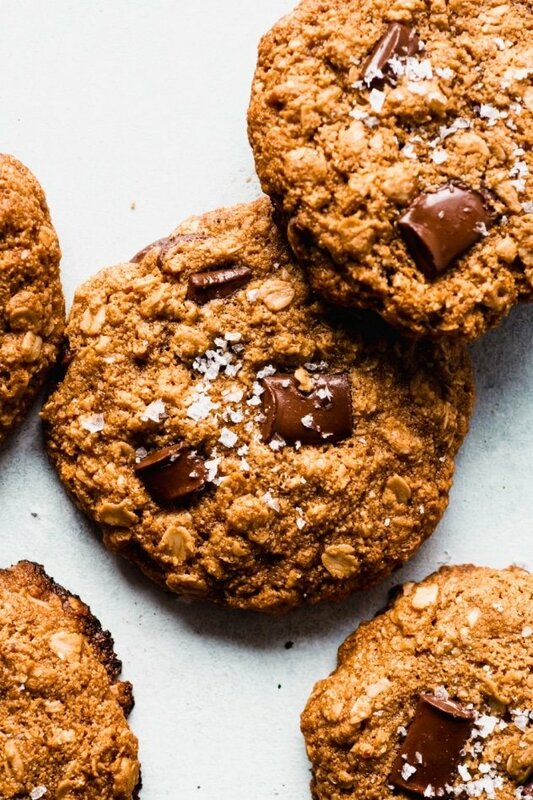 They are gluten free, grain free, paleo friendly, refined sugar free, and dairy free / vegan! 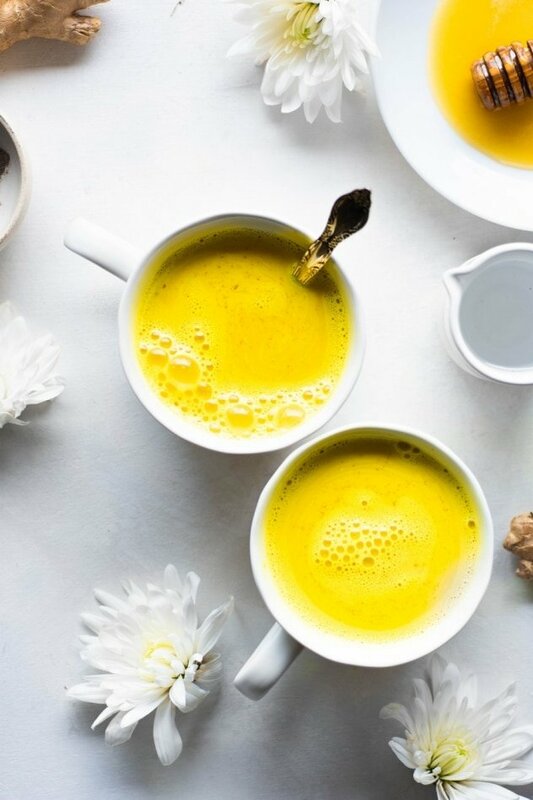 And they’re made with 7 simple ingredients that you probably already have on hand and really are the perfect little bite for a healthy and delicious energy boost. What are those 7 ingredients? 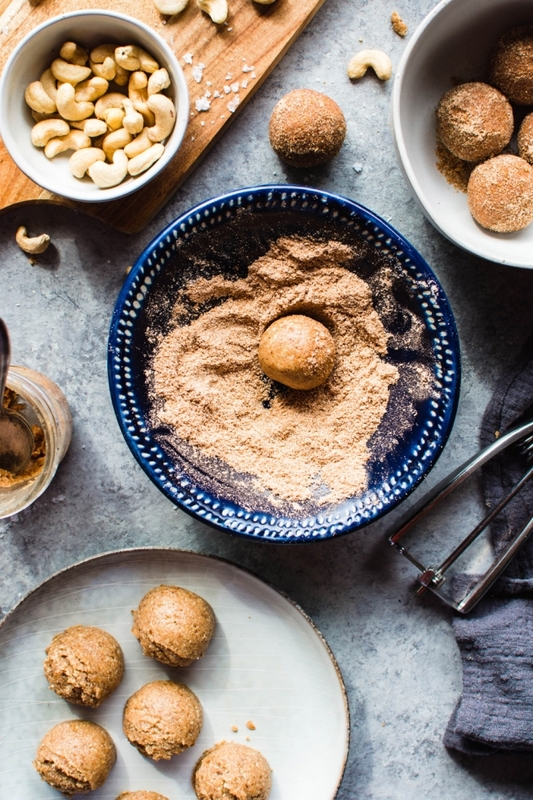 Almond butter – Everyone’s favorite alternative to peanut butter, almond butter helps these energy bites stick together and adds a little extra fiber and protein! Coconut oil – A traditional fat that is made up of healthy fatty acids that are good for the whole body! Sea salt – Always and forever in sweet and savory recipes. Just a pinch brings out the best of all the other flavors! 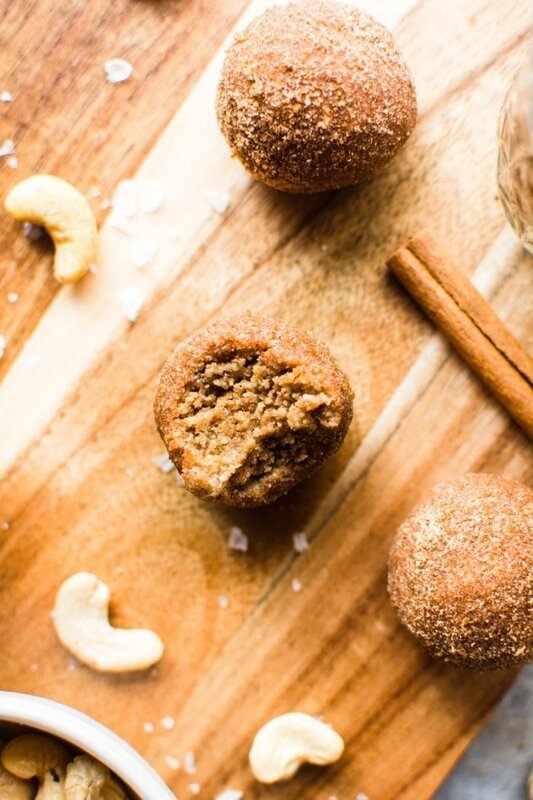 Vanilla extract – The perfect compliment to the cinnamon for that whole cinnamon roll vibe. They come together super quickly in the food processor. Straight forward and simple – everything goes in and gets pulsed until a thick and sticky energy bite “dough” forms. Make sure you start out with soft dates, or if your dates are not super soft, go ahead and soak them in some hot water for about 10 minutes before you start. That should be enough to soften them up sufficiently. You can just drain them and pat them dry before using in the recipe. After the dough is ready, use either a cookie scoop or a tablespoon to portion them out one at a time. You can make them any size you want, but I usually go with about a healthy tablespoons worth for just the right “bite size”. Roll them into a smooth ball with your hands and place on a large plate or baking sheet until you’re done. Transfer them to the refrigerator or freezer to firm up and that’s it! You’re finished! 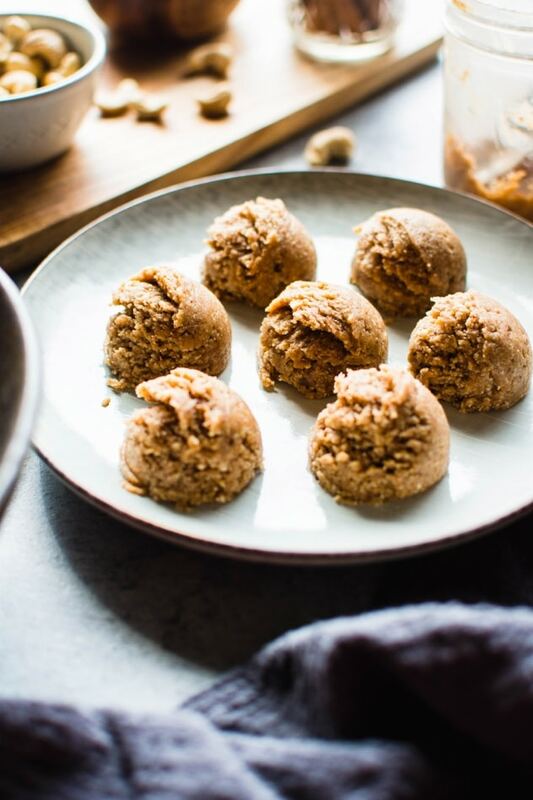 Great with your morning coffee for a little cashew + date + cinnamon roll boost to start your day, or as a perfect portable snack to tuck into your bag for an afternoon pick me up! Full of only the good stuff for that lasting energy that will satisfy your sweet tooth and nourish your body at the same time! 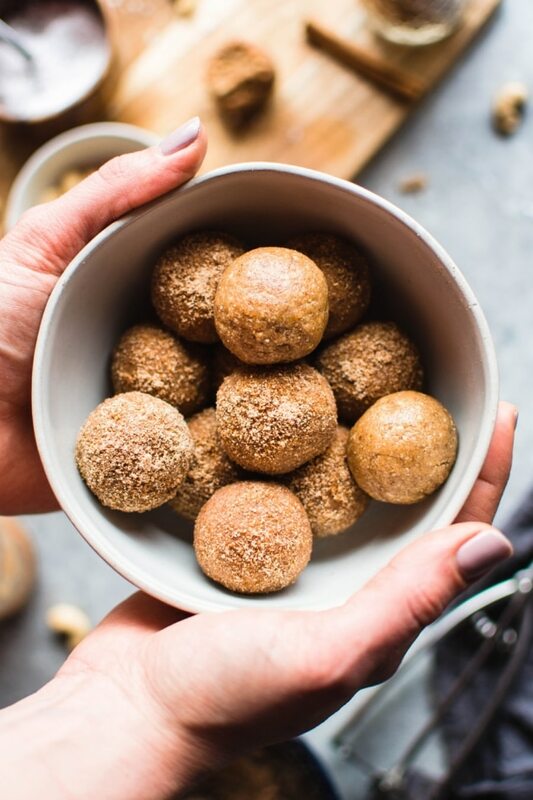 These No Bake Cinnamon Roll Energy bites are made with only 7 ingredients and are naturally sweetened with dates! A healthy yet indulgent treat, they are soft and chewy, full of healthy fats and protein, and totally reminiscent of the ultimate breakfast pastry – the cinnamon roll! Without any of the refined sugar/wheat/dairy. It’s a real win/win. 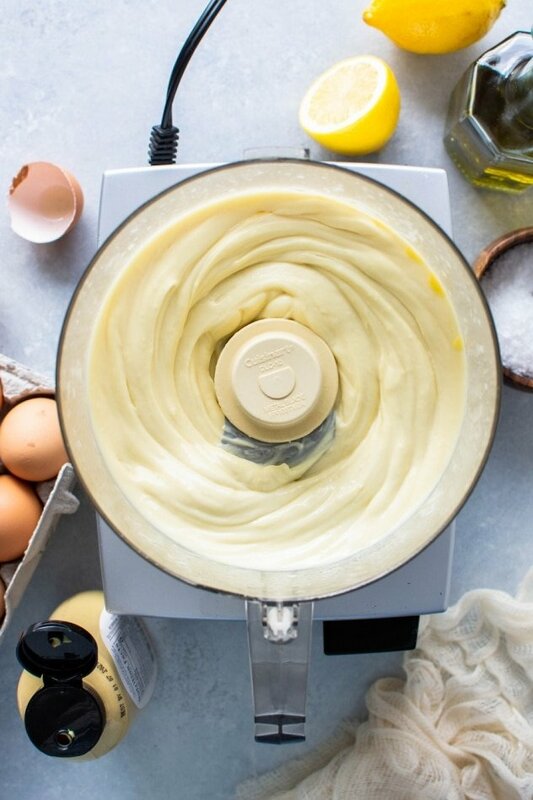 Add all energy bite ingredients to a food processor and process until combined and a sticky dough has formed. Do not over process or the texture will be too smooth and gummy. Transfer mixture to a bowl or scoop straight from the food processor using a 1 1/2 tablespoon cookie scooper or a regular tablespoon. Portion out onto a parchment lined baking sheet and roll into smooth balls using your hands. 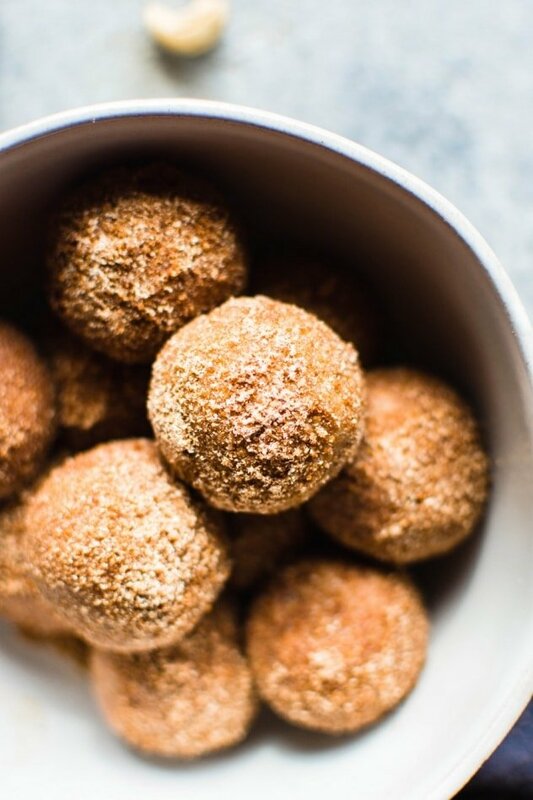 If desired, roll to coat balls in a bowl with the coconut flour/coconut sugar/cinnamon mixture and return to the baking sheet. Move to the refrigerator or freezer to firm up for about 30 minutes and then transfer to an airtight container. 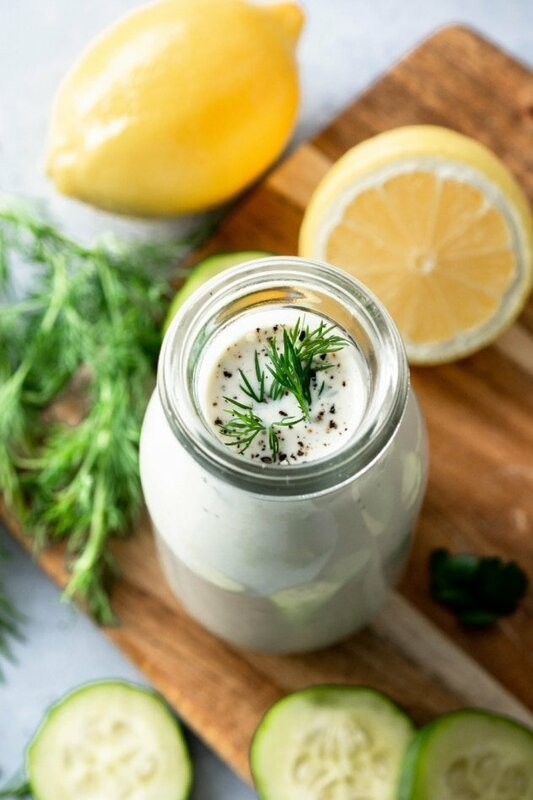 Store in the refrigerator for up to a week, or in the freezer for up to 2 months. If your dates are not very soft, remove the pit and soak in a bowl of hot water for about ten minutes. Drain and pat dry and proceed with the recipe. Almond butter tends to vary in consistency depending on whether your at the beginning or the end of a jar. If your almond butter is fairly thin and runny, you may want to add a few more cashews to thicken up the batter, or if it is fairly thick, you can moisten the batter with a little extra melted coconut oil – although the extra melted coconut shouldn’t be added until after you’ve processed all of the ingredients and can see that the batter is too dry and crumbly. 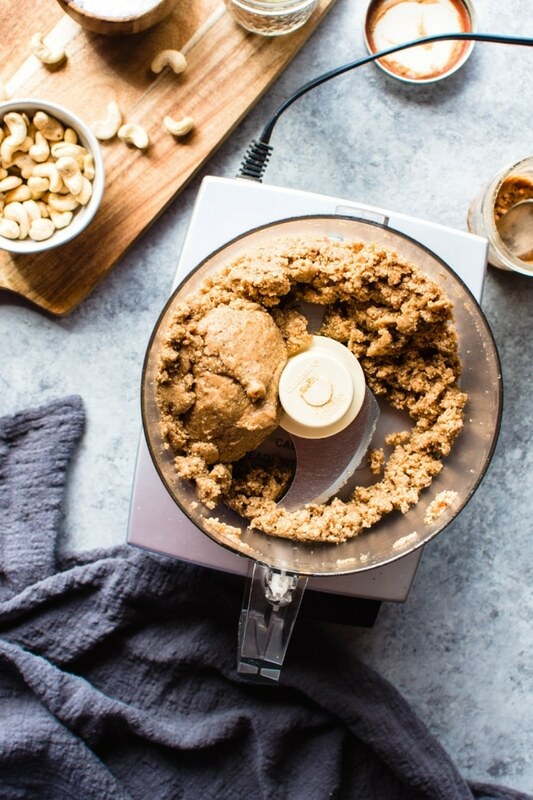 The extra cashews can be added before you process (better for an ideal consistency) but can also be added after if you see that the batter is too soft to handle. Just add add a few more (maybe about 1/4 cup) and process until no large pieces remain – just be careful not to over process. To avoid this, stop running the food processor periodically to scrape down the sides and check how the newly added cashews are doing. 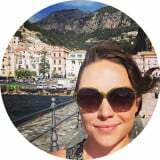 This entry was posted in snacks, sweets and tagged dairy free, easy, gluten free, grain free, healthy, paleo, quick, refined sugar free, snack, vegan on May 19, 2018 by Nyssa Tanner. Yum! These were so easy to make and such a great snack while home on maternity leave (and always)! When I’m starving and also have a crying, hungry baby, these have been a life savor. Will definitely continue to make these.